Southside Pawn's New Gun Store Grand Opening on May 1st. - What's New! HomeBlogGun Shop NewsSouthside Pawn's New Gun Store Grand Opening on May 1st. 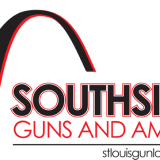 Southside Pawn and Jewelry, a St. Louis institution, has opened its brand new, expanded gun store. Southside Pawn's extensive selection to their new store has added hundreds of new weapons for the discerning customer. Their knowledgable firearms experts will help match their customers to the perfect firearm for their needs. Southside Pawn, with a staff with military and law enforcement experience, current members of the state conceal and carry program, as well as charter members of the NRA, give us a real connection with firearm owners. Our respect for gun ownership, understanding the expense of each weapon and the needed care to properly maintain those firearms, help us to satisfy the questions and needs of our customers. Each gun is stored unloaded in a safe dry enviorment, preferably in a protective case.Value research is thoroughly conducted on each firearm, so our customers money need can be quickly satisfied. Southside JEWELRY & LOAN, An independently owned Pawn shop and Jewelry store, in the business of making loans on almost anything of value that is in good working condition. In an effort to maximize your loan amount all incoming merchandise is completely tested. We specialize in High Dollar Jewelry Loans and Buys! Our GIA graduate uses the skills needed to calculate the highest dollar amount for the customer. Visit Southside Pawn at 8101 Gravois Road, St. Louis, MO, 63123, call at 314-353-1900 and visit http://pawnstlouis.com for more information. « Southside Pawn to Open New Gun Shop May 1st!